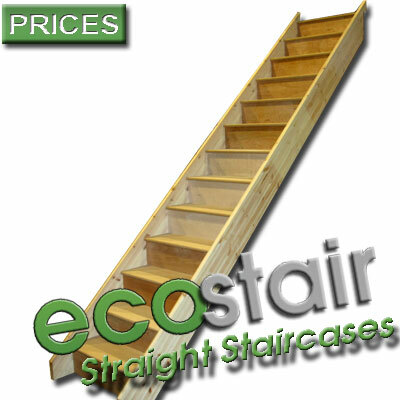 Ecostair Staircases - economical staircases constructed from Timbers sourced from Sustainable managed forests. 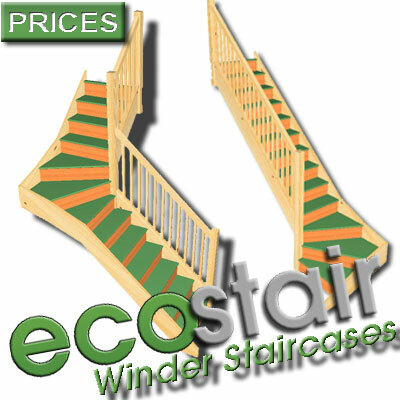 Winder Staircases from our Ecostair Range for the Trade. 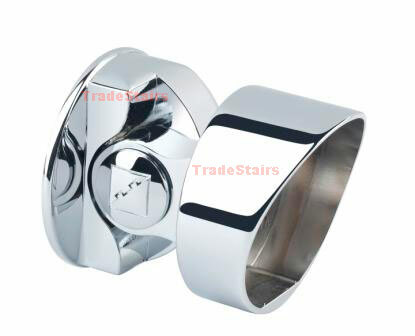 Single and Double Winder Staircases with and Without Handrail. 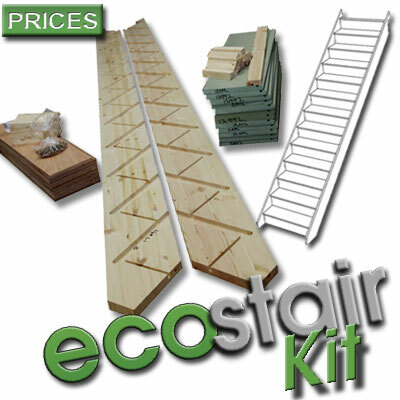 The Ecostair range of staircases is our new environmentally friendly economy staircase option. 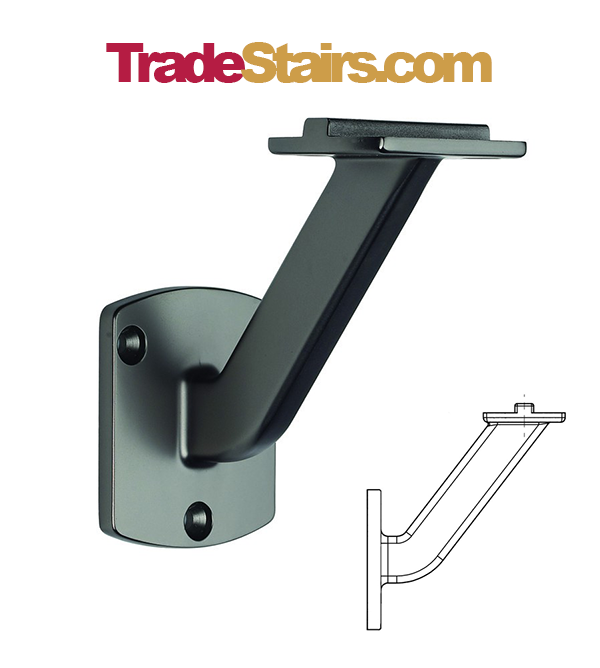 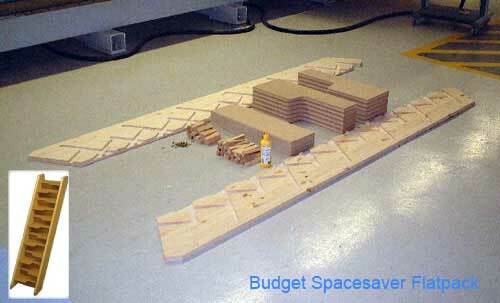 This is the cheapest staircase range we offer. 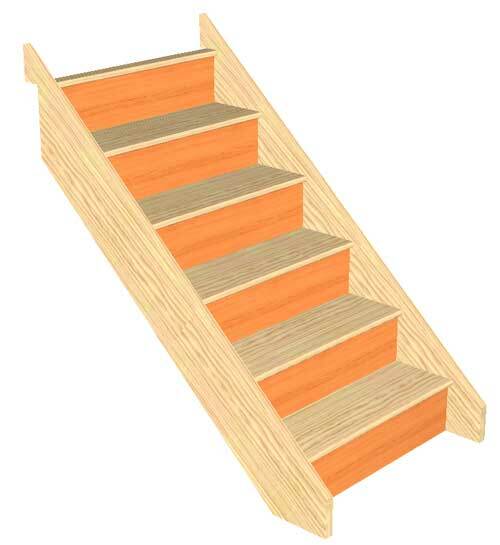 The Ecostair range of staircases is priced at a level to compete at the sharp end of the staircase market whilst offering materials from sustainable sources. 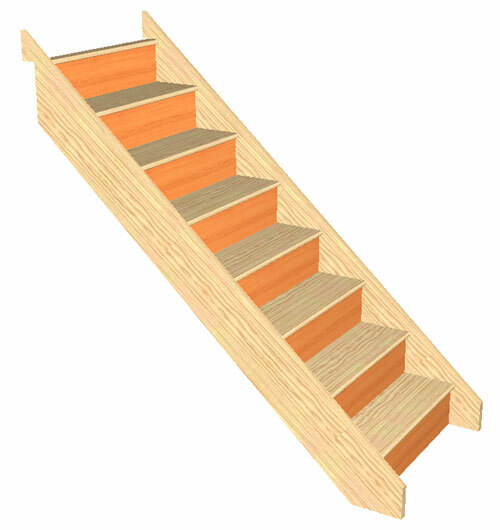 The softwood used in these staircases is not to the same standard as our class leading engineered pine staircases but is still selected to a high standard comparred to general staircase production practice. 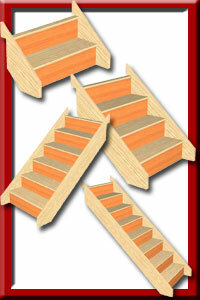 In this area we have a selection of quality pine staircases from 2 ro 11 risers in height.